As summer winds down here in Teton Valley, Idaho, there's a certain urgency in the air. It's mainly about squeezing in final high country outings before the snow flies. 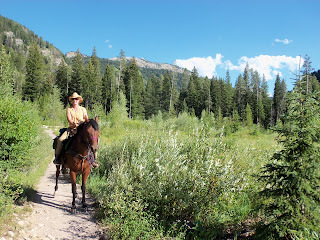 And so, I joined Joanne on a nice evening horse ride up South Fork of Teton Canyon the other day (I try to ride something other than a bike at least twice a year). We rode towards Alaska Basin, as far as time allowed, and it was gorgeous. Typically, signs of Fall are prevalent by late August, but not so this year. Wildflowers are still blooming, the grass is tall & green, and no colors on any leaves yet. I'm hoping this means we'll have a nice long Indian Summer. 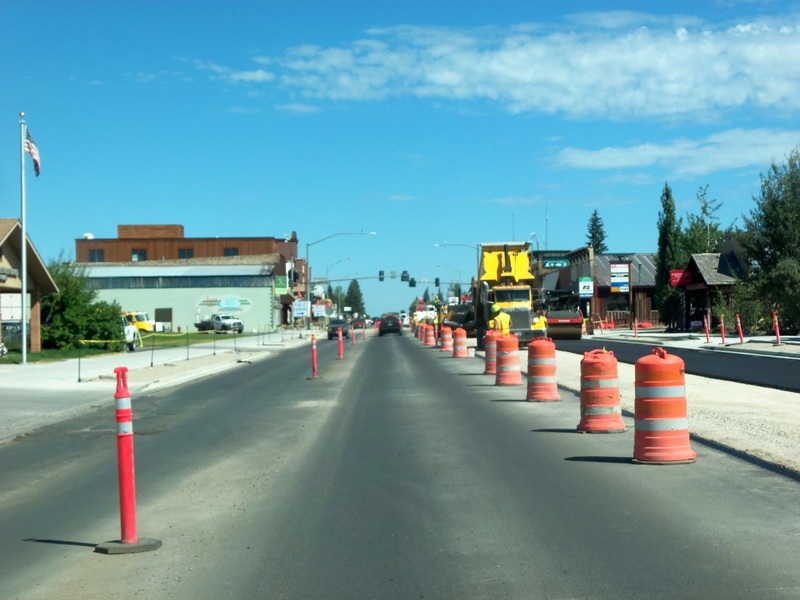 This summer has also meant a lot of construction around Driggs. Specifically, a complete makeover of Main Street and Hwy 33. It's made life tough for local businesses and has chewed up a lot of bike tires, but is finally nearing completion. The finished product will be a big step forward; new pavement, sidewalks, landscaping, lights, and more. Come see it all next summer! Of course, the past couple of weeks have also included a few bike rides, most notably the Star Valley Century last Saturday. It starts and finishes in Afton, WY, and is absolutely beautiful. This year's ride benefitted the family of a good departed friend, making it extra meaningful. 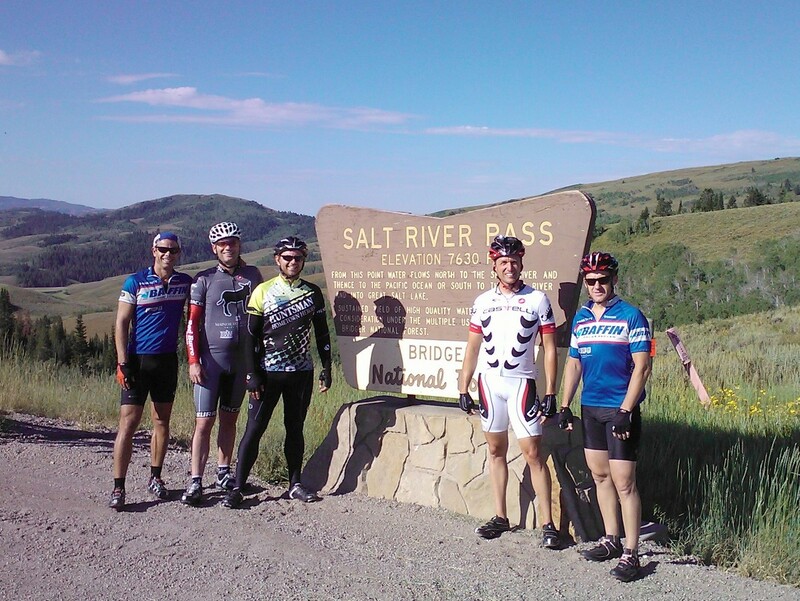 I rode with my brother Curt, cousin Brent, and friends Todd Q and IronRuss. 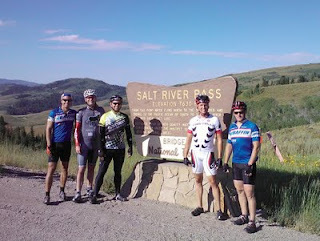 Here we are at the top of Salt River Pass, where much to Russ's chagrin I had just won our King of the Hill competition. Victory is sweet. I took this photo after an evening mountain bike ride last week, and love how it showcases the uniquely Driggs combination of farming, the Tetons, and recreation. 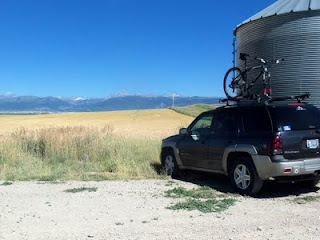 There's just something cool about starting a bike ride next to an Idaho grain silo, exploring stellar mountain singletrack, and returning to an amazing sunset with America's most iconic mountain range illuminated right before your eyes. It gets in your blood.